You are here > Home>Latest News>Tuffa finalists in three Business Awards! Tuffa finalists in three Business Awards! This month saw the announcement of the finalists for the prestigious 2018 Burton Mail Business Awards, and we’re delighted to report that Tuffa UK has been shortlisted as finalists for no less than THREE awards! We are finalists for Manufacturer of the Year, Employer of the Year and the Innovation & Technology Award. In addition, the finalists in all 10 award categories are eligible for the overall Business of the Year Award. This year there were over 130 entries in total, so to be shortlisted for three awards is an impressive achievement in itself. 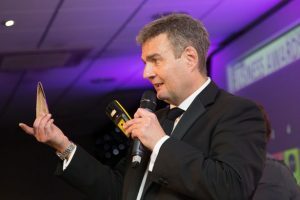 This year is the ninth Burton Mail Business Awards ceremony and Event Director Dr Dave Bryon is again impressed with the quality of the applicants. “We are overwhelmed each and every year with the sheer volume of applications we receive from firms across South Derbyshire and East Staffordshire,” he said. Tuffa won the Burton Mail Manufacturer of the Year award in 2015 and was Runner-Up in The Stoke Sentinel’s Business Innovation award earlier this year. Tuffa will be hosting a panel of judges for the three shortlisted categories in the run up to the Awards evening in October. Burton based Clinigen Group are on the judging panel for the Employer of the Year award, The Greenbank Group will be judging the Manufacturer of the Year title with JCB deciding the Innovation & Technology award. Tuffa’s Marketing Team will be giving a presentation to the three sets of judges which will showcase our credentials for each of the awards. The judges will visit all finalists before reporting back to a steering committee which will make the final decision on the award winners. The winners will be announced at a glittering gala awards ceremony on Thursday, October 18, which will again be held at Burton Albion’s Pirelli Stadium . Tuffa has booked a table of 10 for the evening and Tuffa Director, Jackie Shenton is looking forward to the event. “It’s a marvellous achievement to be shortlisted for an award of this calibre, so to be finalists in three of the award categories is simply unbelievable,” she said. “I am very proud of the entire team and this recognition is a fitting reward for their hard work and dedication. Whatever the outcome, we’re looking forward to celebrating our success at the awards evening,” she added. 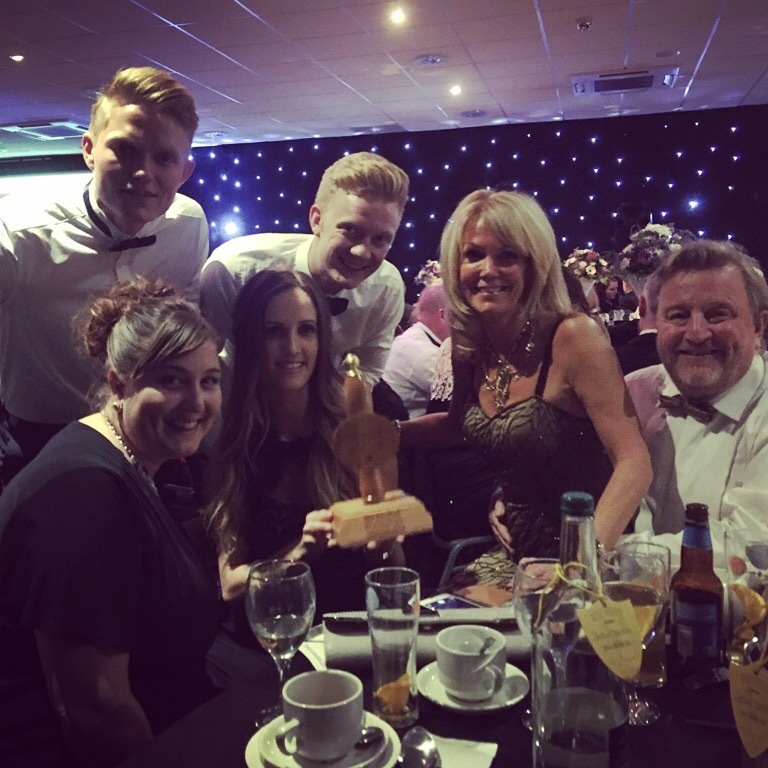 The Tuffa team celebrating the Manufacturer of the Year Award in 2015.